hd01:07CIRCA 1945 - Kids and teenagers are among the celebrants of V-J Day in North Platte, Nebraska. sd03:041950s - A history of Korea between WWII and the Korean War. 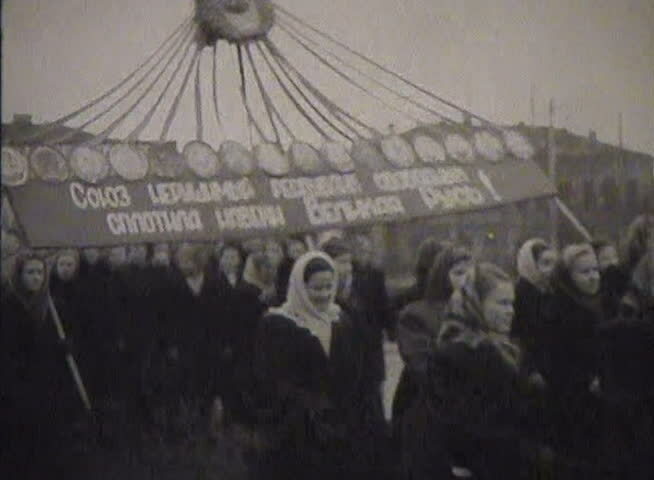 sd00:401950s - Poland falls under the influence of Stalin and the Soviet Union in 1951 with large parades in Warsaw. hd01:13CIRCA 1960s - War threatens to break out in Cyprus because of the disagreements between Greece and Turkey in 1964.
sd01:071930s - Army air force training academy in 1939.
hd00:30CIRCA 1923 - Secretary of War Weeks, with Generals Morton and Haynes, reviews the troops at the Presidio.